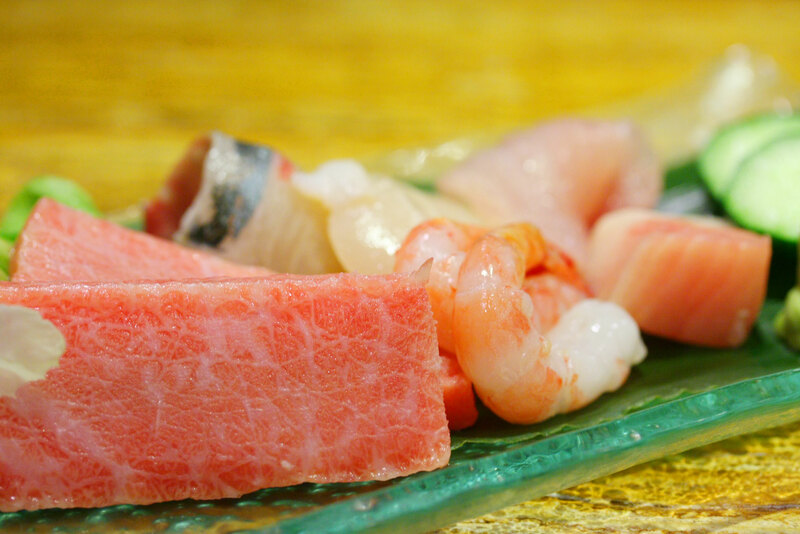 Hokkigai is known as surf clam and it is one of the most identifiable sashimi due to its bright red colouring on one side. 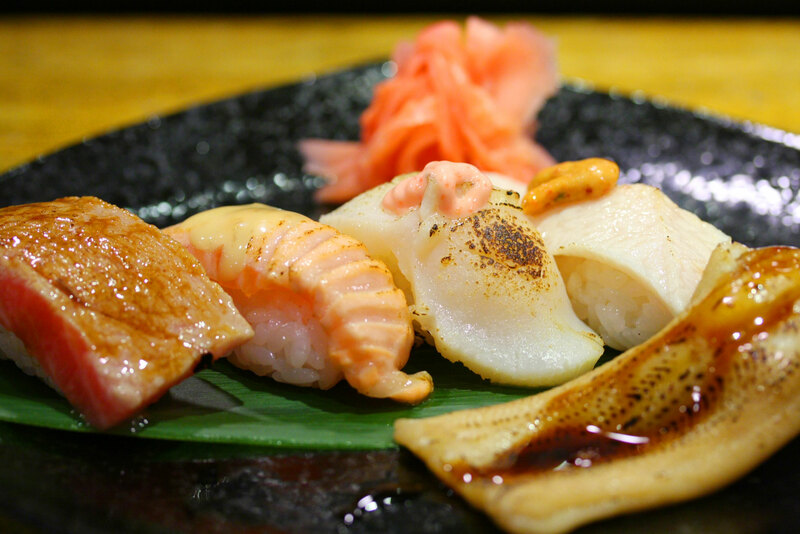 It has a clean and crisp texture, moreso than the other shellfish I’ve had for sashimi. 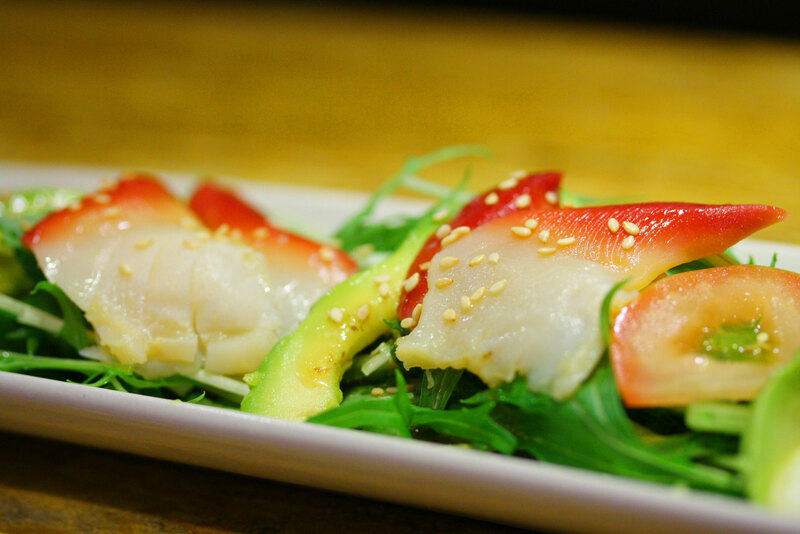 The crunchy texture provide a good contrast with the Japanese rocket salad. This is the sea robin! Or also known as gurnard fish. If you look closely, you can see what looks like thin spindly legs just below the pectoral fins. People used to think that this was for the fish to walk on the bottom of the sea but it’s actually so that the fish can stir up food. 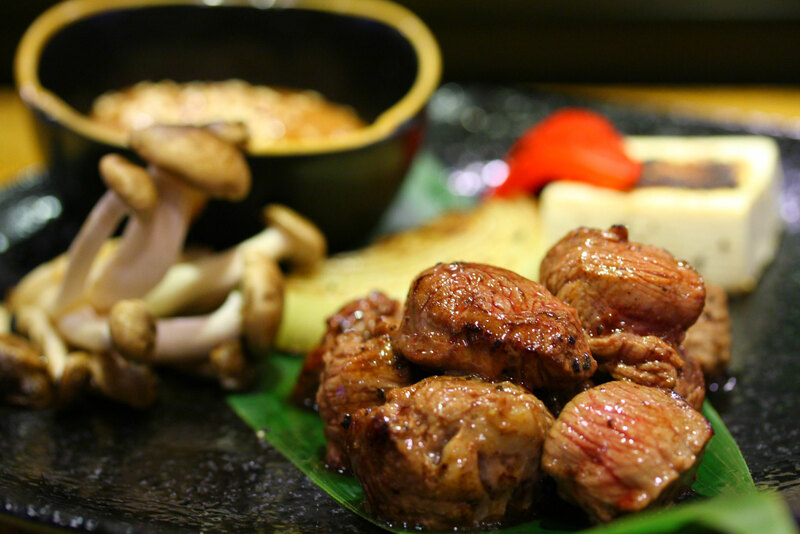 Sumiyaki refers to the style of charcoal-fired grilled food. This was mostly a mixed platter of various grilled food – mushrooms, beef cubes, tofu, etc. It also came with a nice miso dip. Food grilled over charcoal really has a different taste to normal grilled food. There is more flavour and aroma to it. This was a unique internal fusion dish that chef Roy came up with. When I say internal fusion, I mean the fusion of different Japanese dishes rather than fusion across cuisines – hence the long and complicated name. The base was ochazuke, which is rice with green tea soup. 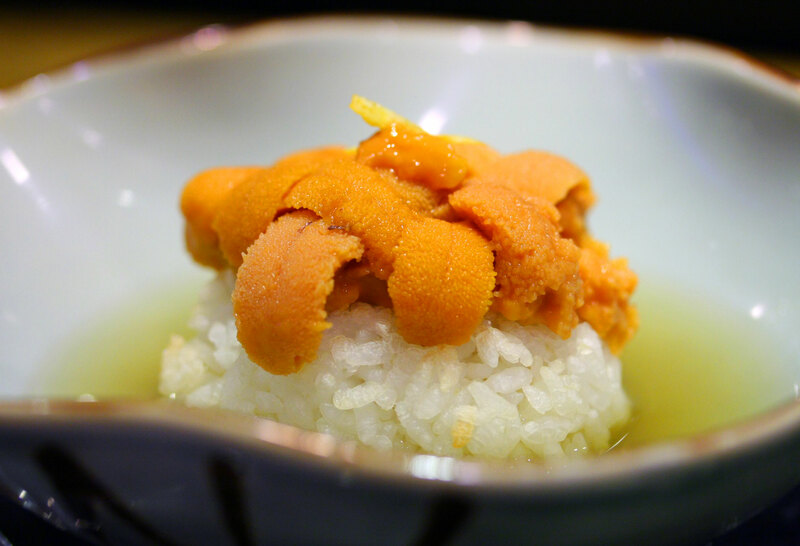 Instead of normal rice, he used a lump of grilled rice which is also known as yaki onigiri. 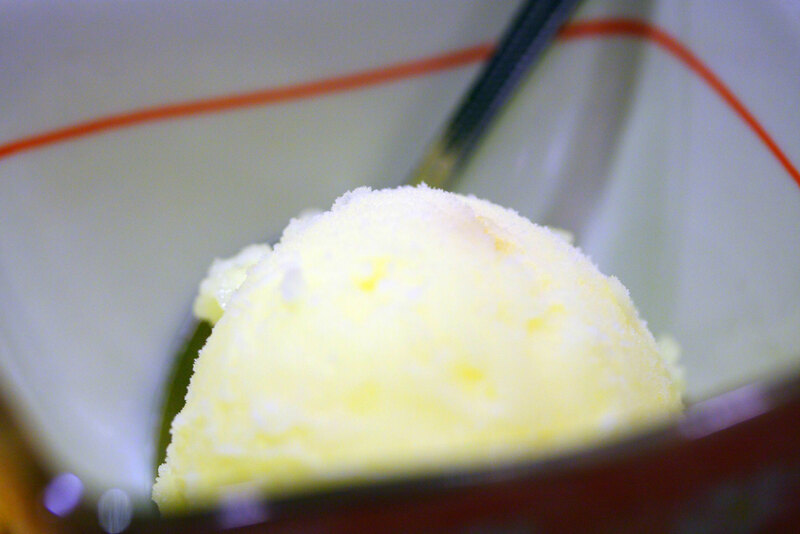 This has a nice crunch to it and goes well with the green tea soup taste. 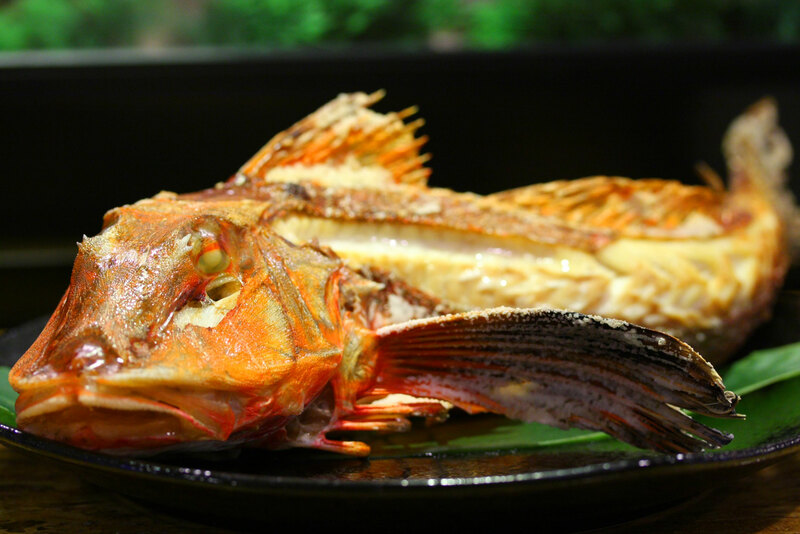 2 Responses to "The omakase with a sea robin"